Mother's instinct told Fay that her son, Luke, wasn't just suffering from a case of school jitters. Luke, who was six-years-old at the time, started suffering from headaches and mood swings over the summer holidays in 2013. When he returned to school in September, his headaches became worse and he started being sick. After running some tests, the GP suggested he might be worried about school and advised Fay to return if things got worse. One night, almost a week later, Luke woke up clutching his head, crying in pain and vomiting. Fay trawled the internet for brain tumour symptoms, which is when she came across HeadSmart. Fay said: “No one knows their child better than their mum and I knew Luke wasn't a worrier. HeadSmart empowered me with the information and confidence I needed to go back to the GP." 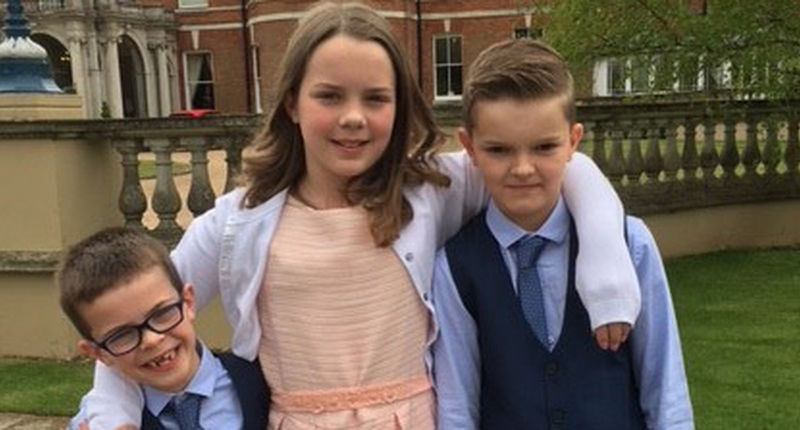 Fay went back to the GP who referred Luke for an MRI scan, which confirmed Fay's worst fears. Luke was immediately taken by emergency ambulance to St George's Hospital, where he underwent a seven-hour operation. We can’t thank HeadSmart enough – without the campaign our son may not be here today. Early diagnosis not only saved his life but gave him quality of life as he hasn’t suffered severe disabilities. Now we’re backing the campaign to save other families our heartache. Surgeons were able to successfully remove the whole tumour and after spending three-and-half weeks in hospital, Luke has made a good recovery. He now has to have regular scans until he is 25.